Polypipe/JFC twinwall drainage - Twinwall drainage pipes in 6m lengths approved for use along the track for surface water dissipation. Demco terraline and terradrain drainage - We can supply these approved drainage pipes, engineered from solid wall PE pipe and can be used as a track collector or for a UTX. Cubis flexipit - We can supply this innovative product in a range of sizes with bespoke inlets and outlets as per your requirements. These are a one lift catchpit chamber that eliminates multiple lifts. 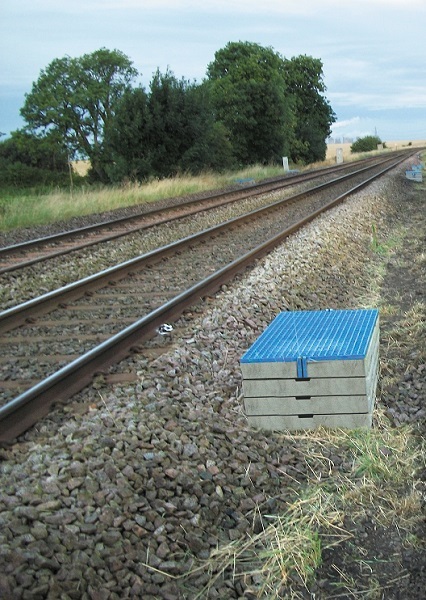 Anderton concrete catchpits - Widely used on the network and manufactured by Anderton Concrete. Standard size and Matissa frames are readily available. All associate items can be provided. GRP catchpit covers - Available in 25mm or 38mm thicknesses to be used in conjunction with the Concrete Catchpits. Geotextiles - We stock a full range of geotechnical products including separators, Permanent Way and Hydrotex.